The kids and I love to give treats out to our neighbors, teachers, friends, the mailman.....you get it! The holidays are always a good time to acknowledge and thank those special people in your life or just to say hello to a neighbor that you may not know very well. Treats (and a friendly gesture) work magic! We made these jars a couple of years ago and they were a lot of fun for the kids to create their own little self designed creature on top. They came out very abstract and adorable. This year Em and G had a very specific idea of what they wanted to make. I started by covering the top of the jars with (the kids choice) of Halloween fabric. 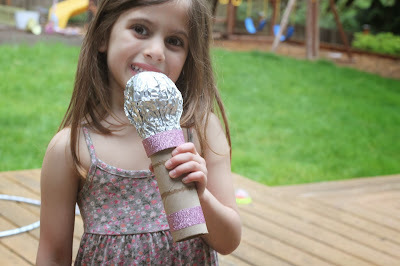 Next, they used a styrofoam ball for a head. This one we just covered in gauze, hot glued right to the fabric covered lid and added a couple of eyes. G wanted to make a kitty for his teacher. We used a low temperature hot glue gun to add the eyes and ears. He still needs assistance with the hot glue, but Em is now a pro. 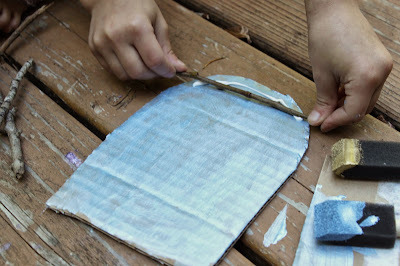 You can also try tacky glue for this when working with younger children. Check out Em's monster! She made this for her teacher because she said he loves spooky stuff. I think she nailed it, this monster is pretty spooky! 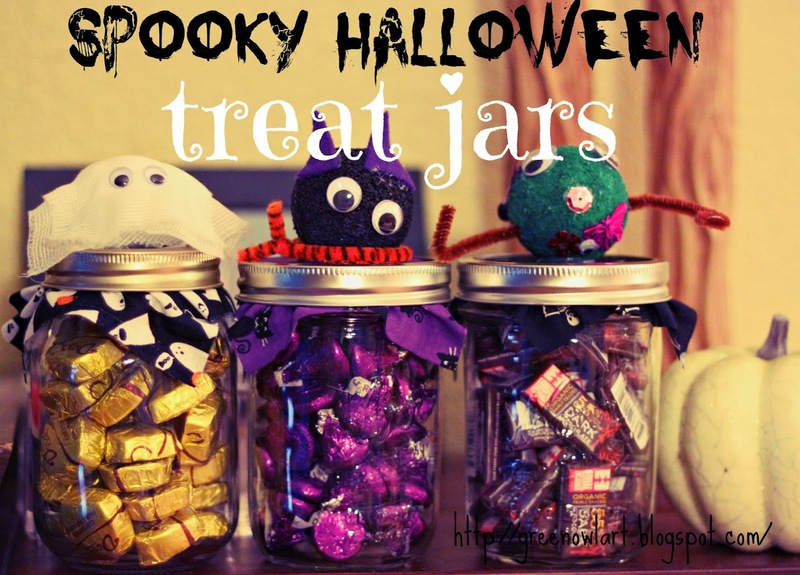 We filled our jars with our friends favorite treats and will delivery them this week for a special "Happy Halloween" to all the great people that surround us each day. I think these would be fun to change up for each holiday. 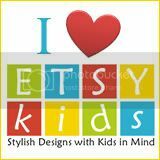 I would love to see the kids create a reindeer and Santa jar. You know those family traditions that you just can't break, but you also just can't continue? Well, caramel apples for Halloween is that tradition for me. I remember the pure joy and excitement when it came time to make these sweet treats and I want my children to have that, but in a healthier way. I have been brainstorming for weeks on how I could make this happen and I finally got it! I have a food blog crush on The Nerdy Farm Wife. 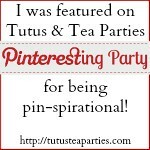 She is amazing and her site is full of DIY goodness. One of our favorites is her Nutty Caramels. They are pure bliss. 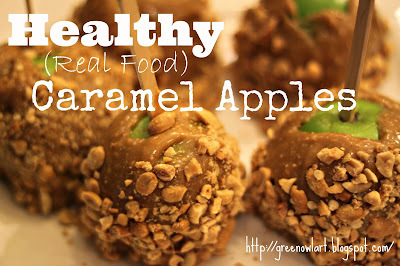 When I was browsing around on her site recently I realized these little squares of caramel heaven were exactly what I needed to make my healthy caramel apple happen! All that is in this caramel is honey (get a good quality, it makes a difference,) nut butter and coconut oil. The kids washed the apples for me and I added popsicle sticks to each one. You start by bringing a cup of honey to 270 degrees....a candy thermometer is a necessity. Once this happens you remove from the heat and add 1 cup of nut butter and a tsp of coconut oil. You mix this all together over a cold water bath. Check out The Nerdy Farm Wife for full details. While I was making the caramel Emma crushed some peanuts to go on the apples. This is optional, but helps keep the caramel in place. You could also use shredded coconut. Once the caramel becomes thick it is time to dip those apples. You have to work fast because it keeps getting thicker as you go. The kids enjoyed rolling their apples in the crushed nuts, but were not happy when I popped them into the fridge for an hour or so. Once the caramel hardened I sliced it off the stick and I had a very happy family on my hands, continuing a very sweet tradition. We brought home a whole lot of apples yesterday, so we thought it would be the perfect time to make our shrunken apple heads. Spooky, right? Check out my full tutorial from last year for all the details, Shrunken Apple Heads. They are a lot of fun. When the kids saw me pull out the small sugar pumpkins (that I had planned on roasting to make some pumpkin curry soup) they squealed with delight. Not because of the pumpkin curry soup (go figure,) but because they thought it was time to make jack-o-lanterns. I didn't want to crush their happy little pumpkin moods, so I had to think fast. I grabbed some little Halloween treasures that I had from a few years ago when we made a Halloween sensory bin and I gave them a good washing. Next, I cut the top of the pumpkin off and added all of my treasures to the inside of the pumpkin. You have to use your hands to get them good and covered with pumpkin mush. Once they were all hidden I called the kids over for a pumpkin treasure hunt! They weren't exactly sure what their crazy mom was talking about, but quickly caught on as they pulled out the first orange gem. We had a bowl for seeds and a bowl for treasures. Grayson really enjoyed separating the seeds from the treasures. He didn't want to believe the treasures were all gone, so he continued to look. I think he might have climbed in if he could. 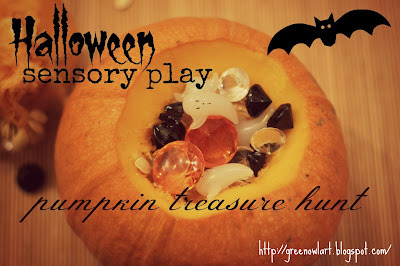 We love sensory play and this was a fun way to make it festive. Now what will I do for Thanksgiving? Definitely not a turkey treasure hunt. Definitely not. We made pumpkin seeds with coconut oil and sea salt (so yummy) and I got my pumpkin curry soup after all. All kidding (and mama emotions aside) I love this time in my Emma's life. She writes me letters almost everyday (and yes I keep them all because one day when she does go away to college I plan to read them to myself several times a day) and she reads her baby brother books, talk about sweetness! It's all a new learning curve for me as I try to support and encourage her development, but all the while keep it an enjoyable experience for her. Okay, enough rambling and onto the craft. 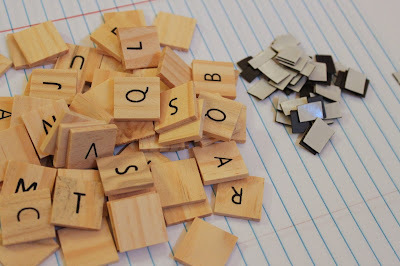 To encourage literacy in the home in a fun way I found some old letter game pieces and along with sticky magnet sheets we made a set of fun letter magnets. 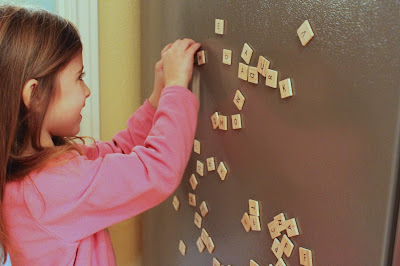 This has been such a great tool for Emma to practice her spelling at home in a fun way. We leave each other notes daily and now even Grayson is starting to use them as he is recognizing his letters. You are growing up so very fast and making me so proud every step of the way. 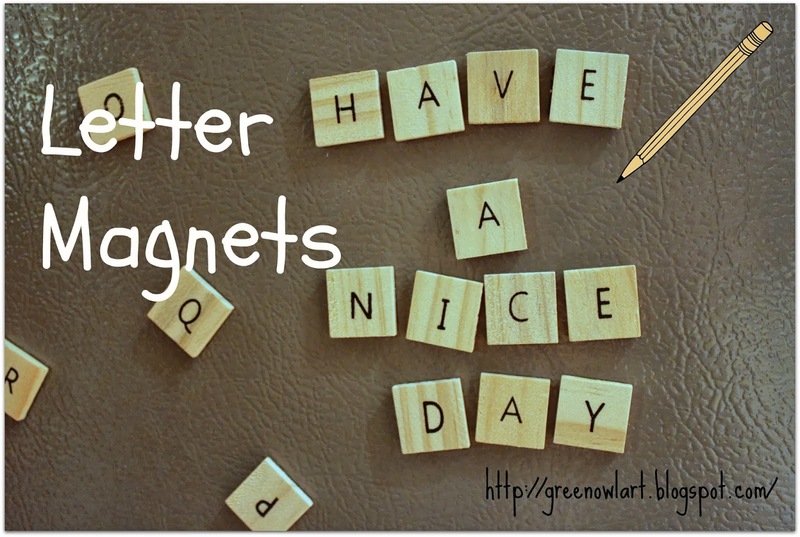 My full Letter Magnet tutorial is over at Kiwi Crate. 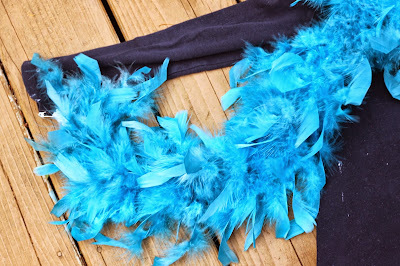 Here are 8 simple ways to create a costume at home with things you most likely already have around the house. 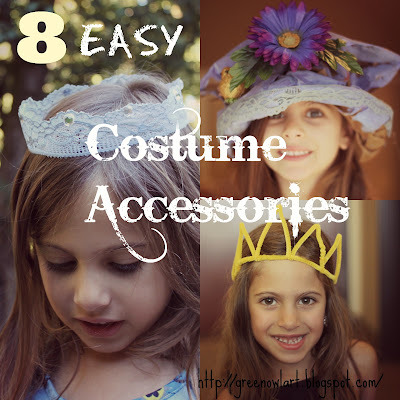 Best part is children can be involved in making their costumes! Have to love that! I love the delicate vintage look of this lace crown. When we first made it I imagined it being perfect for a newborn photo shoot. 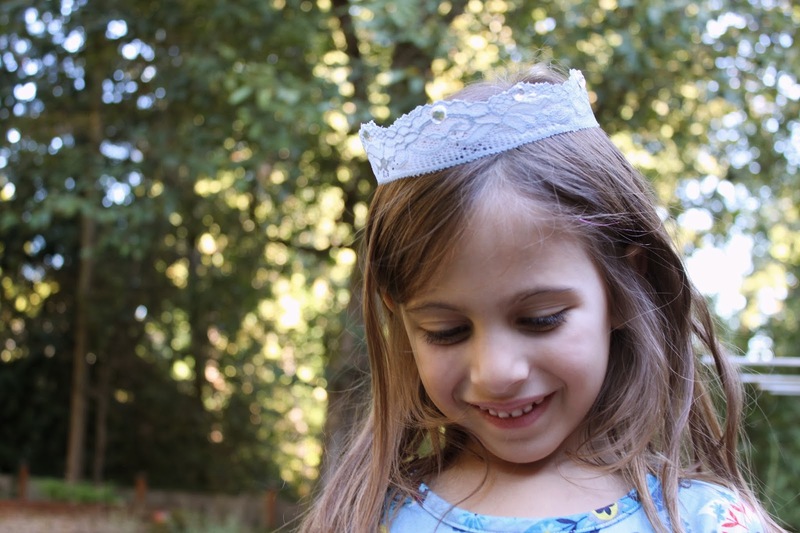 There are so many options for this one to become the perfect crown for any princess desired costume. To make a lace crown all you need is glue, lace, a stapler and optional gems. 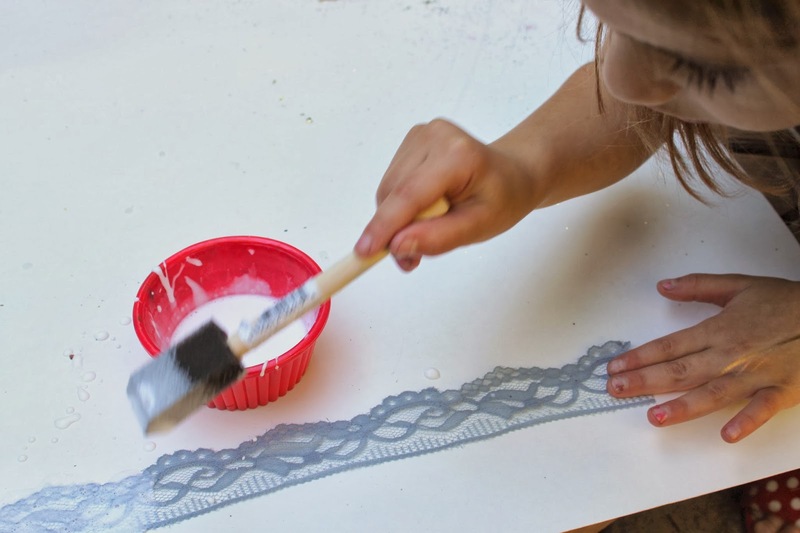 Emma painted a strip of lace with glue and let it dry. Once dry she stapled it together to form a crown and added gems to the top. There are so many options when it comes to lace ribbon. You can make this as extravagant as you like. Check out my full tutorial at Kiwi Crate for more details. 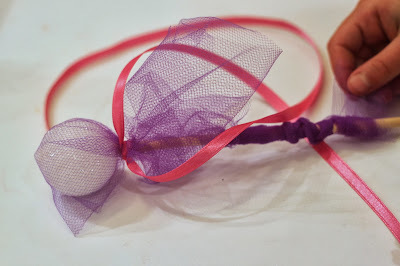 The royal pipe cleaner crown is so easy for kids to make and can be embellished with beads or left simple. This is a fun costume accessory for Halloween, a birthday or any ordinary day. Just twist and sculpt the crown the way you like. Check out my full details at Kiwi Crate. 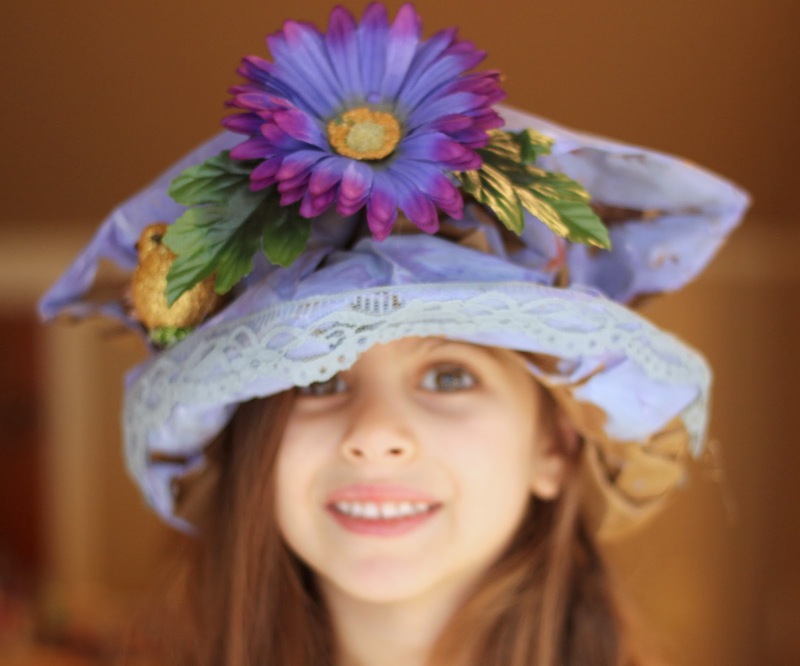 We made this bonnet for Easter last spring, but we have continued to use this technique for many different hats. It can easily become a pirate or witch hat with a little black paint and felt details. Check out details here, Easter Bonnet. 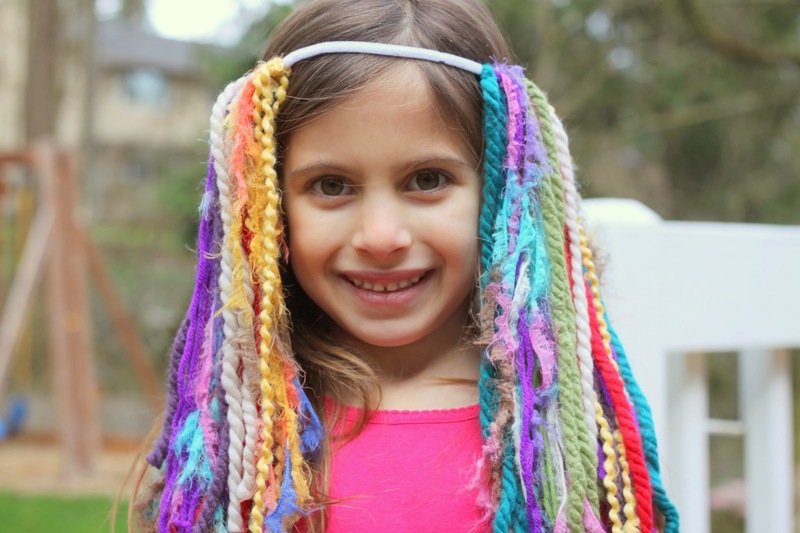 Do you have a Rapunzel on your hands? Or maybe a clown or Raggedy Anne? This is another accessory that is very versatile and yarn hair is much sweeter than those plastic hair wigs you find in the stores. 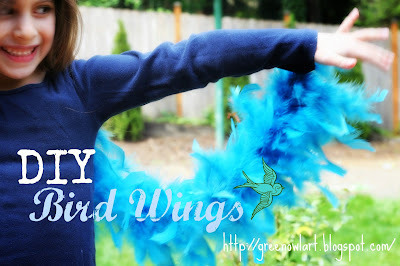 To see full instructions head to my DIY Crazy Hair Wig post. These unicorn headbands were originally made for Emma's Unicorn birthday party, but have become a favorite in our dress-up box. 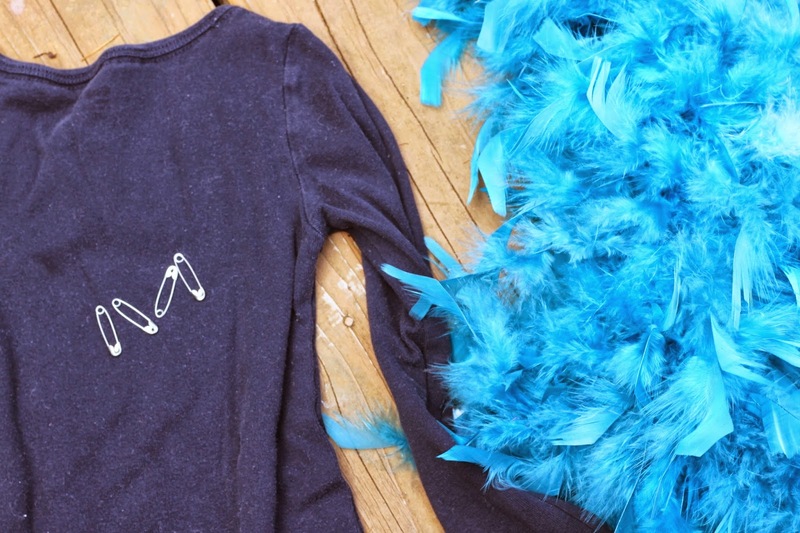 Add a tutu and tail and you got a great unicorn halloween costume. 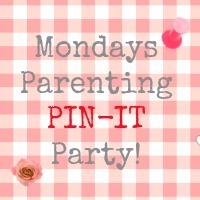 See more details here, Unicorn Birthday Party. Wands are good for many costumes. These were specific to fairies, but can easily be changed to any sort of wand you need. They start out with a stick found in the yard, pretty easy to do. My full instructions are at my Nature Fairy Wand post. Have a rock star in your life? Well, you will definitely need a microphone! A paper roll and balloon make this rock star ready to perform. 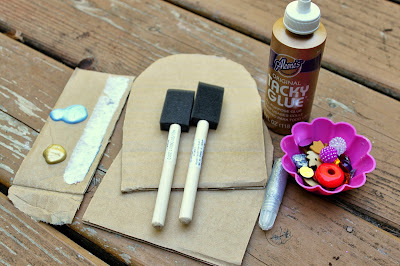 Details are over on my DIY Music post. Another wand completes this list. This has been used for the princess, fairy and magician in my house. We made this with a styro ball, chopstick and some ribbon. Details on Kiwi Crate. What are you creating this Halloween? So far I have had requests for a princess leopard, spider-man, super hero pirate and a mermaid. I wonder what the final call will be. Over the next few weeks I want to share a few simple ways to make DIY Halloween costumes with simple materials around the house. I think my daughter wears some sort of costume accessory every single day. I am guessing most 6-year-olds are this way and I don't know about you, but it gets me having to think outside of the box in order to fulfill her daily requirement for changing character! 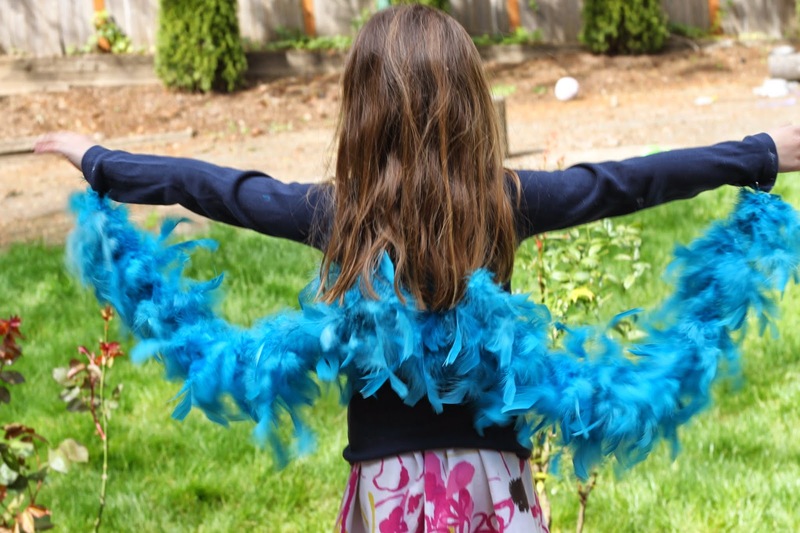 These bird wings were created when Emma assumed that a feather boa was for a really fancy bird (because why would anyone wear feathers unless they could fly, of course.) Made sense to me and with a few safety pins we figured out just how a really fancy bird would use a bright blue feather boa. 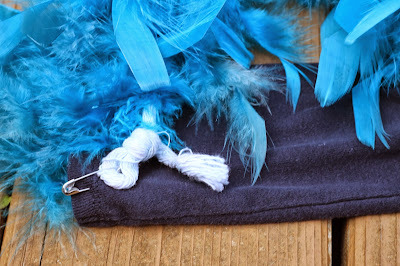 I pinned each end of the boa to each wrist of the shirt. Another two pins were used to attach to the upper back and THAT IS IT! I wanted to share this because it is very simple and made for a beautiful day full of beautiful little imaginations at work. There is not much better than that. I can see this becoming a great costume paired with a simple feather mask and blue leggings. 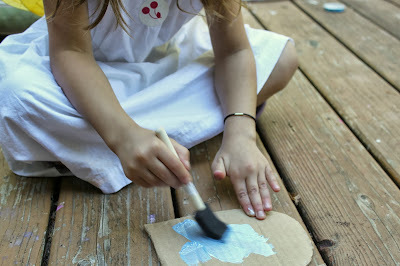 I also shared this craft over at Kiwi Crate. Happy Halloween crafting!! I recently discovered how simple it is to make our own lip balm and shortly after that I also discovered that Emma thinks it is the best thing ever!! This sort of project can be a little intimidating to do with children (because of the hot melted wax and all!) but with careful supervision it is a great opportunity to show children how resourceful they can be. equal parts of beeswax, cocoa butter and coconut oil (we used 2 tbs of each) and 1/4 tsp of pumpkin spice. I have a designated pot that is made to melt wax. You can use any small stainless pot, but be sure to mark it "for crafting only!" Emma measured out all of the ingredients (another great opportunity to work on measurements) and added them all to our pot. She helped me to stir over a low heat until everything was melted and combined together. I took over at this point and filled our empty lip balm sticks with the wax mixture. My pot has a small spout for this, but if you are using a regular pot you can pick up a glass dropper to fill the sticks. 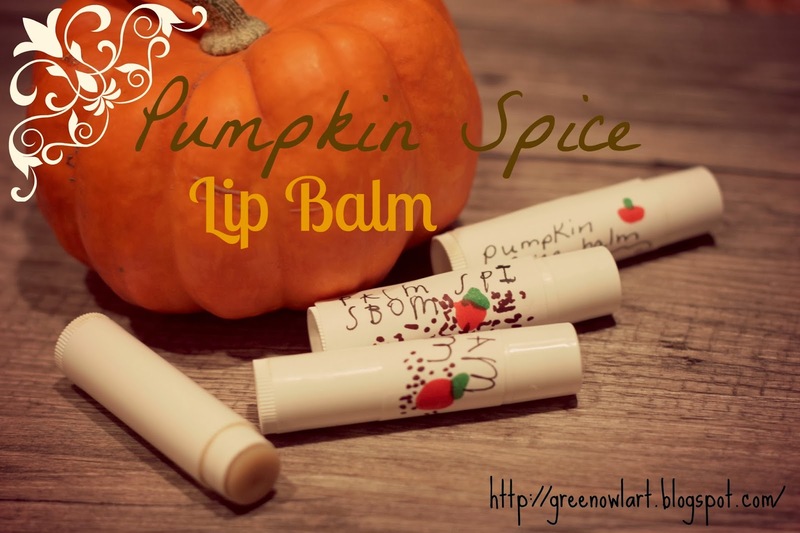 While the wax settled, Emma used some plain mailing labels to customize her lip balm. She absolutely loved this part. She, of course, became a fancy-lip-balm-store-shop-owner and set-up a little processing line. Did I mention our house smelled amazing while making these? You can experiment with different scents by adding essential oils and spices. 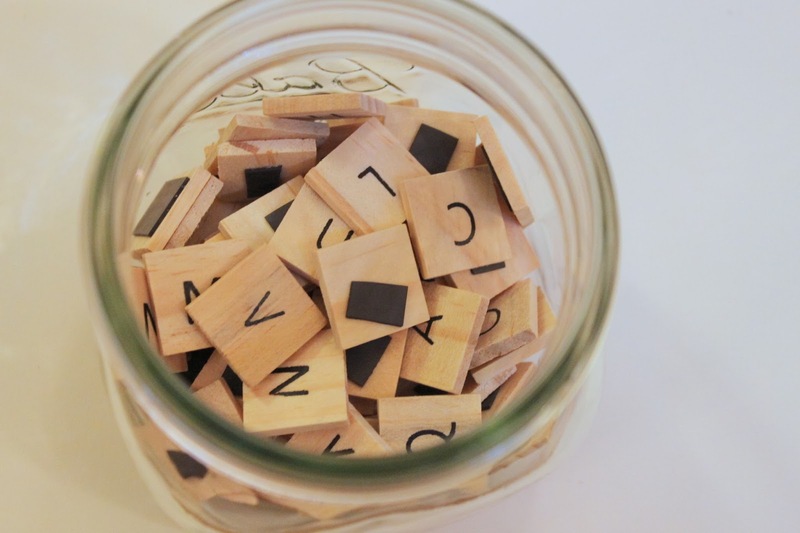 I am lucky enough to live by a great little store that sells everything I need to make lip balm and more, but if you are looking for somewhere online I also adore Bulk Apothecary. 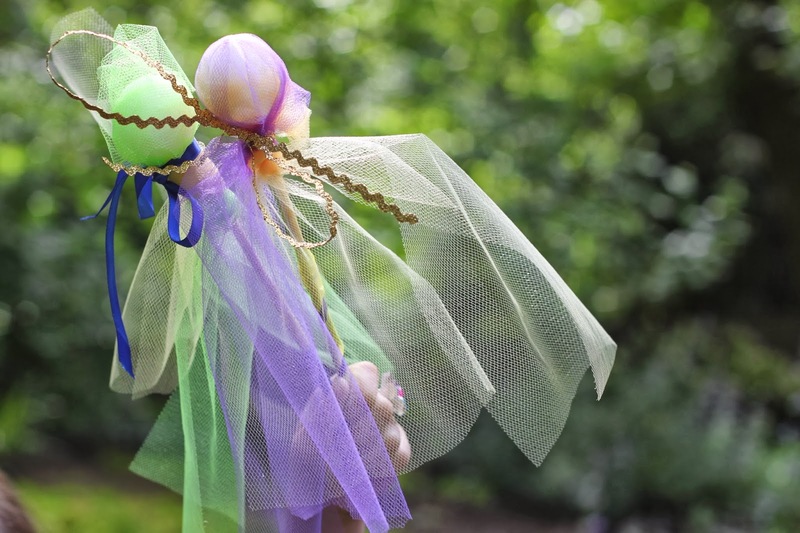 I wish my children could believe in fairies forever. I adore watching their beautiful imaginations wonder about the fairy world and make up stories about what might happen there. It's one of those childhood treasures that really make you appreciate this innocent and wonderful age. 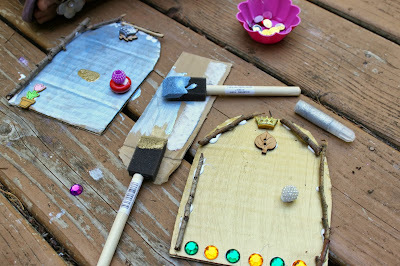 We made a few simple fairy doors with cardboard that I cut out into tiny door shapes. Emma painted them and added some special touches. Beads, buttons and twigs are great additions. 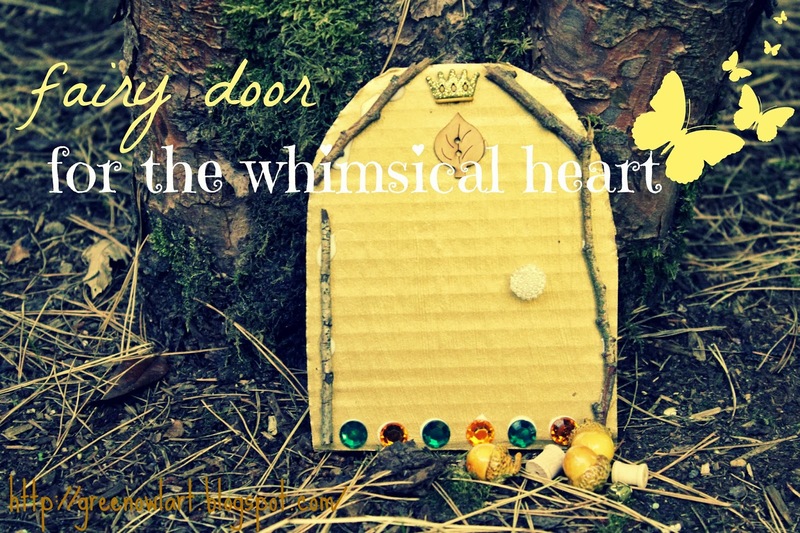 She wondered if her door would get used that night and what kind of fairy might use it. 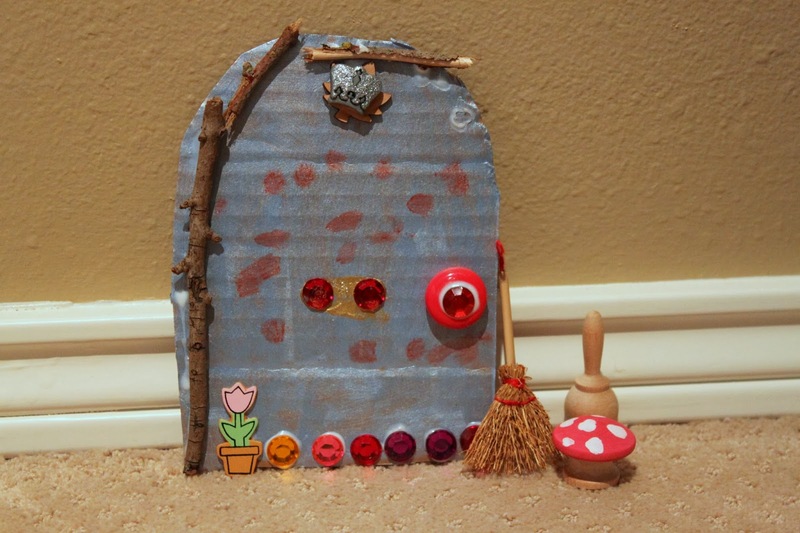 She thought about all the perfect spots for a fairy door. She asked to leave something special at each door that evening to encourage some fairy friends to move in. And sure enough the next morning we saw some evidence that we may have some new house guests.